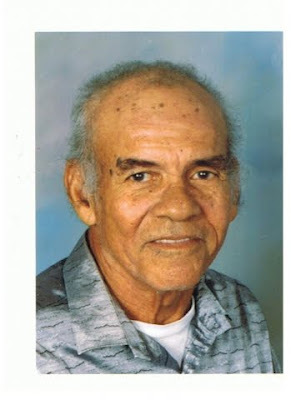 Today is Fathers's Day, and I would like to remember my dad, Winston Nathaniel Crawford. He was a very hard working dad who did whatever it took to care for his very large family. He was kind, wise, and a stern disciplinarian who instilled in us the values of compassion and hard work. Dad was also a great story teller who spent many nights weaving varied tales of Belizean Folklore like that of "Tata Duhende" and ghost stories that would send shivers down our spine. Greatly missed by all his children and grand-children!!! As Father's Day hits its first centennial today, sons and daughters around the world are expected to open their wallets wider-slightly- in celebration. Because of the slowly recovering global economy, people are expected to spend about 4 percent more than in 2009 on cards, ties, tools, clothes and other Father's Day gifts. But the first Father's Day, a hundred years ago, was decidedly humbler and refreshingly non commercial. Inspired by a Mother's Day sermon she heard at church in 1909, Spokane resident Sonora Smart-Dodd—one of six children being raised by a single dad—also wanted to honor her father. She encouraged local churches to institute the first Father's Day observance the following year, and the idea caught on. Psychology lecturer Nicole Gilbert Cote at the University of Massachusetts in Amherst, who researches Father's Day phenomena, noted that U.S. President Bill Clinton in 1994 launched a gender neutral "Parent's Day" on the last Sunday in July. George Stromberg, the brewing company's president, told the Spokesman Review that the local visitor’s bureau put him up to the Father's Day task. "They thought there was a natural connection between dads and beer." Her research shows that even though dads get less attention on Father's Day than moms do on Mother's Day, fathers are more likely to be satisfied on their holiday. "It might be someone who served in a father role," she said. "Or it could be a stepdad." Very Interesting Linda, I am always sure that I will learn something from your blog. Like Uncle Winston, My dad was the same, always working overtime to provide for his family. Working hard and providing for us was true love. Only wish that they were still here with us.